Chinese Strategic Missile Defense: Will It Happen, and What Would It Mean? Home > Chinese Strategic Missile Defense: Will It Happen, and What Would It Mean? The cause of this analytic gap might be self-imposed blinders on U.S. strategic assessment concerning Chinese strategic ballistic missile defense development. Ever since the end of the Cold War, U.S. security policy has largely assumed that only the United States would possess credible strategic missile defense capabilities with non-nuclear interceptors. This article examines the question of whether this tacit assumption will remain valid for much longer and seeks to understand the implications for the United States and its allies of further development and possible deployment of a limited Chinese strategic missile defense system. This analysis is based on the authors’ discussions from mid-2014 to the late spring of 2015 with more than 50 experts (government officials, military officers, and nongovernmental analysts at think tanks and universities) in China and the United States. The course of these discussions was guided by a set of incentives and disincentives that China might be considering in weighing whether to continue developing and potentially deploying a strategic missile defense system. The conversations helped further refine these model incentives and disincentives, as described below. The overarching assessment is that it is quite possible, certainly less unlikely than many believe, that China could deploy a strategic missile defense system with a small number of interceptors within the next few years for a variety of national security, geopolitical, and domestic reasons. For more than 50 years, China has explored and developed capabilities to defend against a spectrum of ballistic missile challenges, from short-range missiles to intercontinental ballistic missiles (ICBMs). In 1964, the year in which China tested its first nuclear explosive device, it launched the 640 Program, which is coded as “64” for 1964 and “0” for the first major defense program that began that year, to study missile interception, early-warning systems, and target discrimination techniques. Yet, this ambitious agenda fell far short of a viable ballistic missile defense system due to China’s relative lack of financial and technical resources in the final two decades of Chairman Mao Zedong’s rule. 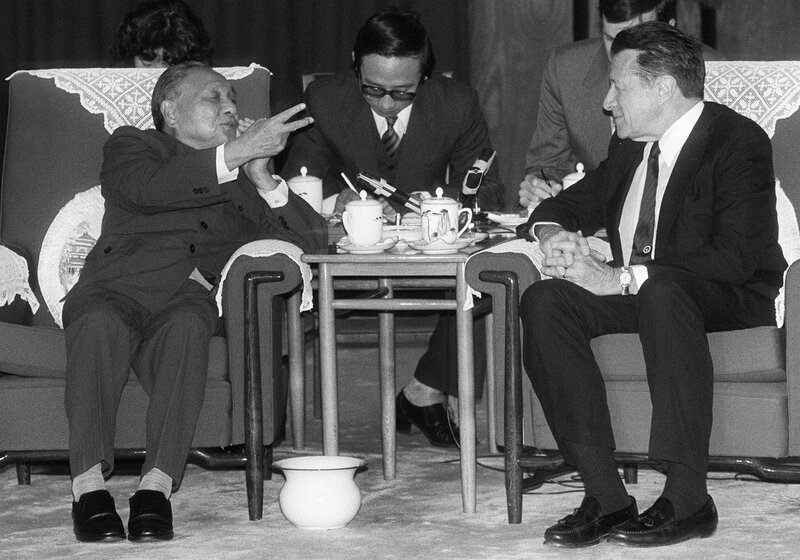 In 1983, Deng Xiaoping, Mao’s successor, canceled this program, in part because his modernization efforts emphasized economic development above all other priorities. Nonetheless, Chinese leaders felt internal political pressure that year to continue examining missile defenses in order at least to understand the implications of the Strategic Defense Initiative (SDI) launched by U.S. President Ronald Reagan. By the mid-1980s, Chinese scholars were advising the foreign affairs and defense ministries about diplomatic and technical options for responding to the U.S. missile defense program. After three failed tests in February, May, and December 1983, the fourth test of the U.S. Homing Overlay Experiment was successful on June 10, 1984. This technology could also provide a country with the capability to produce anti-satellite (ASAT) weapons, a finding that was not lost on China. By the end of 1991, however, the collapse of the Soviet Union and the decision by the George H.W. Bush administration to substantially scale back U.S. research and development (R&D) on strategic missile defense led China’s interest in missile defense to wane. Although the United States remained committed through most of the 1990s to limited-scale strategic missile defense development, North Korea’s August 1998 launch of a long-range Taepo Dong missile tipped the arguments in favor of U.S. deployment of ballistic missile defense systems despite the failure of this launch. In January 1999, William Cohen, President Bill Clinton’s secretary of defense, announced that the United States would invest more in theater and national missile defense systems and would seek an amendment to the 1972 Anti-Ballistic Missile Treaty to enable a deployment of a missile defense system intended to shield the territory of the United States even if only to intercept a very limited number of ballistic missiles. In response, China launched a vigorous diplomatic effort to denounce these U.S. plans, but the United States under the administrations of George W. Bush and Barack Obama has pressed ahead with a limited deployment of missile interceptors with the stated purpose of defending against an ICBM threat primarily from North Korea. Behind the scenes, China was quietly performing R&D on countermeasures to U.S. missile defenses and modernizing its strategic nuclear forces. This brief history illustrates the decades-long pattern of Chinese behavior that several Chinese academics emphasized in meetings: (1) Chinese arms control officials and political leaders have strongly denounced U.S. deployment of strategic missile defense; (2) in parallel, China has devoted financial and technical resources to understanding the U.S. developments; (3) if the United States significantly expands its strategic missile defense deployment, China takes offsetting steps to ensure the credibility of its offensive nuclear deterrent and accelerate its limited, ongoing missile defense development; and (4) Chinese senior leadership can decide whether to move forward with deployment of its own strategic missile defense system. China may also be inclined to move forward on strategic missile defense by factors unrelated to U.S. ballistic missile defense developments. One unusual feature of Chinese statements about the country’s ballistic missile defense intercept tests is that China made the statements at all. Beijing normally is quite secretive about its strategic weapons tests. Probably a major reason that ballistic missile defense constitutes such a striking exception is the worldwide condemnation China experienced with its 2007 ASAT test, which created a huge amount of harmful long-lived debris in low-earth orbit. The statements help Chinese leaders shape the narrative on these tests, rather than let others characterize them. Although it is uncertain at this time whether China will deploy a strategic missile defense system in the coming years, it would be unwise to dismiss the possibility and remain unprepared for what could be an important new development in a dimension of the strategic environment that the United States has had largely to itself for the last 25 years. Just the series of missile defense tests that China has conducted in the past five years should make the United States and its allies alert to this important possibility and encourage closer examination of China’s possible motivations and objectives. Accordingly, a limited Chinese strategic missile defense deployment is probably less unlikely than most people realize. China’s strategic missile defense program has reached a stage of maturity that makes deployment a viable option. The questions now are whether, when, and to what purpose might it do so. Dozens of officials and experts in China and the United States responded to a list of factors that could make China want to develop strategic missile defense and could lead toward potential deployment. The list was created prior to the meetings, and the officials and experts helped revise and refine it. These factors are presented here in roughly descending order of what is believed to be their importance to China. Achieving better understanding of strategic missile defense technology. In discussions, many of the Chinese officials and experts said that R&D would be useful for China’s own planning and intelligence gathering and would provide insight into the vulnerabilities of U.S. ballistic missile defense systems and ways to overcome or defeat those systems. Such knowledge would be useful in general and especially in understanding the intricacies and challenges of current and future U.S. ballistic missile defense systems and their components. Some experts believe that China will not go beyond development and thus will not deploy a system. This is certainly possible. Notably, China would gain important operational information and insight if it deployed a missile defense system. Most of those operational insights, however, could be gained from a limited deployment, with only incremental benefit from more-sizable deployment levels. Providing a cover for kinetic-energy ASAT testing. The 2007 Chinese ASAT test used hit-to-kill technology very similar to the technology that China is currently testing in its strategic missile defense program, for which China has not been criticized. Unlike a full ASAT test, these missile defense tests do not generate long-lived orbital debris. As a result, developing strategic missile defense provides a public rationale that allows China to continue to improve its kinetic ASAT technology while avoiding the diplomatic downsides of ASAT testing, which have undercut China’s campaign against the weaponization of space. As one PLA official said, the hit-to-kill technology “is useful for both missile defense and space applications, but space is more important.” The connection between strategic missile defense and ASAT weapons was widely accepted and understood. No one tried to deny Chinese ASAT activity. At a minimum, it was defended as necessary for technical readiness and an understanding of what the United States and others might do in that area. Countering growing Indian ICBM capabilities. India has successfully tested its canister-launched, three-stage Agni-5 ICBM and is expected to begin deploying it in 2016, putting all major Chinese metropolitan areas within range of Indian nuclear weapons for the first time. India is expected to begin testing an even longer-range, larger-payload Agni-6 ICBM by 2017, expected to be capable of carrying multiple warheads. Because China and India likely see their offensive nuclear capabilities as intended for deterrence rather than nuclear war-fighting, these developments need not be directly provocative. From a domestic political perspective, Chinese leaders may feel the need to respond to such developments because China’s perceived nuclear vulnerability to India, symbolized by the new ICBMs, could become a potent political issue. Keeping up with Indian developments in ballistic missile defense. A related incentive for China to develop and deploy at least some form of strategic missile defense is that India is seeking to develop and deploy a strategic missile defense system itself. According to the director-general of India’s Defence Research and Development Organisation, India expects to have the capability by 2016 to protect against ballistic missiles having a range of up to 5,000 kilometers.8 From a purely political perspective, as one Chinese academic said in a tone of complete incredulity, “Can you imagine India having strategic ballistic missile defense and China not having it?”9 India and China are taking some important steps to reduce tensions between them, but there remains a strong subtext of competition and wariness between the two countries. Because of China’s great respect for U.S. technological capabilities, it is possible that the Chinese leadership and the PLA would have concerns that road-mobile ICBMs that China has been developing are not a permanent future guarantee of ICBM survivability. As U.S. surveillance, intelligence, sensor, reconnaissance, and especially software capabilities advance, along with the ability to extract useful information from the “big data” that these capabilities provide, China will likely continue to have concerns about the survivability of road-mobile ICBMs. To destroy these missiles, the United States or Russia would not need to identify a mobile ICBM’s location precisely. It is important to remember that road-mobile ICBMs are much softer targets than silo-based ones, which means that a Chinese adversary would need to locate a Chinese road-mobile ICBM to within only a few miles to have confidence in its ability to destroy it with a nuclear weapon. A Chinese strategic missile defense capability tailored to this threat to the mobile missiles could not guarantee survivability, but at the least, it could seriously complicate an adversary’s planning. China could not count on its missile defense system working well, but neither could the adversary count on the system failing to work well. This perception effect creates a modest but important island of stability in an otherwise potentially unstable crisis situation. 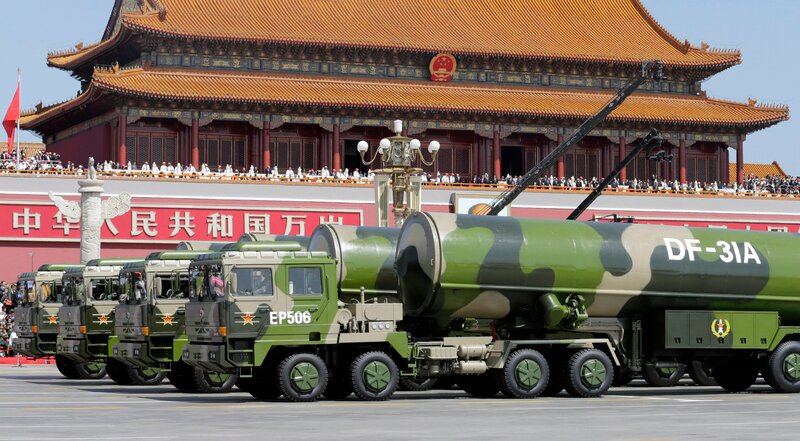 In a high-stakes crisis where the use of nuclear weapons is being contemplated, a modest level of Chinese ballistic missile defense for its silo-based and road-mobile ICBMs could strengthen China’s ability to deter an adversary’s launch of nuclear weapons. Inoculating the leadership against domestic charges that it was leaving China defenseless against external missile threats. 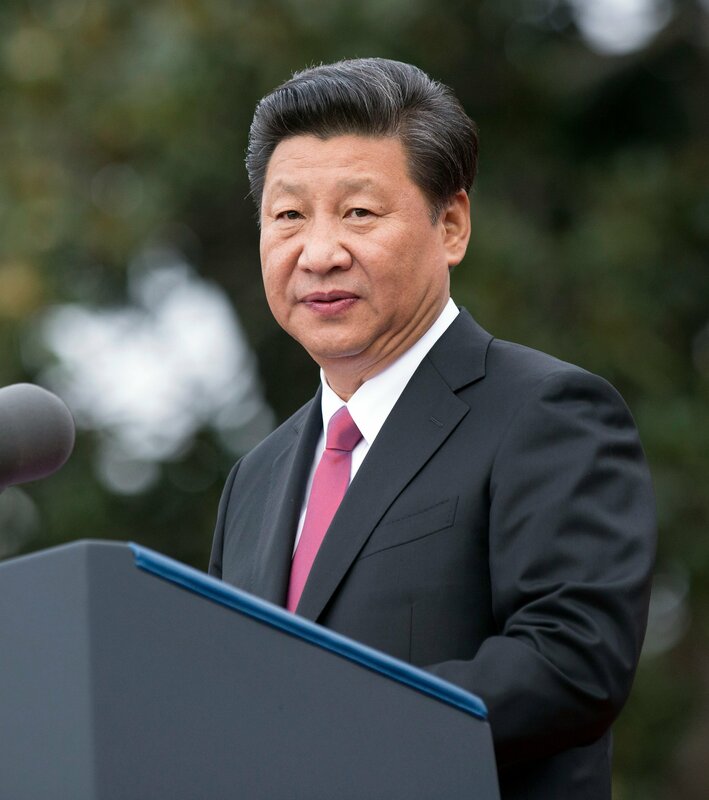 Xi Jinping is a powerful leader, but he serves as president at the pleasure of the Standing Committee of the Politburo of the Chinese Communist Party. Although his position presently appears secure, it is not very difficult to envision a scenario in which his hold on power could become more tenuous: a serious decline in China’s economy, growing unemployment, a collapse of the stock market or banking system, new scandals, and other ills. A political attack from another party faction that pointed out that Beijing would be helpless if even a single nuclear-armed missile were heading toward China could be a serious political threat, as it proved to be in the United States in the late 1990s. Even a small Chinese missile defense, which would provide other security benefits as well, could seem like a reasonable and low-cost domestic political insurance policy. Politically, there is a big difference between a small strategic missile defense system and none at all. The cost of a robust defense would be substantial, so the number of such sites would likely be limited to a few high-priority locations, but certainly those that provided protection to senior officials would qualify. The radars and interceptors for such point defenses would be different from those used for broad-area defense, with interception taking place within the atmosphere much closer to the attacking missile’s target rather than outside the atmosphere. The atmosphere strips away the chaff and decoys that help hide the nuclear warhead from radar detection, making warhead detection and tracking much easier. At this point, however, the nuclear warhead is very close to its target and still moving quite fast. An interceptor for this type of engagement can cover only a limited area, much more limited than missiles that intercept the warhead much farther away. This means that it can defend only a few high-value targets unless a country is prepared to make extraordinary expenditures. China could choose to develop and deploy both kinds of strategic missile defense systems, but this would be a costly endeavor. Other possible Chinese incentives for deployment include introducing a level of uncertainty in U.S. allies about the U.S. extended nuclear deterrence guarantee, especially as the U.S. strategic arsenal is reduced in an eventual follow-on agreement to the New Strategic Arms Reduction Treaty; acquiring important negotiating leverage in any eventual multilateral strategic arms control negotiations; and creating technology spin-offs, especially for theater missile defense. On the other hand, China has to consider several important disincentives for proceeding with deployment. Contradicting past Chinese position on strategic missile defense. Actual deployment of a missile defense system would represent a major shift in Chinese policy. Yet, it would not be the first time Beijing would have made such a shift; Chinese ASAT behavior is a notable previous example. Triggering potential adverse responses from India, Japan, the United States, and possibly others. Chinese work on developing strategic missile defense does not appear to have led to any significant responses from other countries, but actual deployment could do so and could lead to offensive-defensive arms races that China would most likely want to avoid. Chinese development of strategic missile defense is ongoing and is helping China understand the complexities of designing such a system and what its weak points are, whether or not it decides to deploy the system. In addition, this development provides an important hedging option for China against an uncertain and evolving future strategic environment. China faces a variety of incentives and disincentives for deploying a strategic missile defense system. Whether China would deploy such a system is unclear, but the very fact that such a decision is under consideration is telling and represents a major change over the last 10 years. At a minimum, it appears that a Chinese deployment of a missile defense system is probably less unlikely than most U.S. defense analysts have assessed it to be. Such a deployment would likely be limited. The most compelling reasons for China to deploy a strategic missile defense system involve the small number of interceptors required. Seeking to defend against the larger U.S. or Russian nuclear arsenal would require a very large investment with no assurance it could reach its goal because either adversary would almost certainly take offsetting steps to counter such a Chinese initiative. Furthermore, even were it to ultimately deploy missile defense interceptors in greater numbers over a wider area, China would want to gain more experience in what would be a new class of weapons for it. Following are the most likely reasons for a limited deployment. It would provide China with a plausible cover to continue testing its kinetic-energy ASAT system. This suggests that a limited nationwide or regional defense would be more likely than a point defense although the latter cannot be ruled out. Point defense would not provide much cover for an ASAT testing program. It would send a strategic message to India, Japan, and the United States, in that order, that China is capable of defending itself and overcoming major technical obstacles to do so. It would enhance China’s regional prestige and sway, providing a “technological merit badge” of recognition for achieving such a difficult technological task. The United States would likely have no technical reason to make any significant adjustments to its strategic posture in response to the most likely levels of any Chinese strategic missile defense deployments. It would be more likely that the United States would need to respond somehow to address domestic U.S. political concerns and concerns of U.S. allies, especially in Asia. The U.S. responses would seek to demonstrate that the U.S. strategic nuclear posture and forces are robust and able to deal with such deployments. A number of technical options available to the United States should suffice, particularly in missile defense penetration aids and enhancements to the bomber leg of the U.S. nuclear triad. A Chinese move to deploy early-warning satellites would be a significant indicator of greater interest in strategic missile defense deployment, as it would be a crucial component of an effective strategic missile defense system. Such satellites would not be necessary for a deployment devoted exclusively to ASAT testing. In summary, Chinese deployment of a limited strategic missile defense system should be no cause for alarm by the United States and other countries. Yet, the implications would be significant and would merit greater understanding through increased dialogue and more-thorough policy and technical review. This article has only scratched the surface of this issue. One area for further analysis is the new dynamics of a multipolar strategic missile defense world. In particular, especially in light of Indian determination to deploy such defenses and Russian deployment a growing possibility as well, the management of strategic nuclear crises in the Eurasian region could become more challenging. Alternatively, if the affected countries can reach agreements through dialogues and the establishment of rules of engagement, strategic stability could result. Bruce W. MacDonald is special adviser to the Arms Control and Nonproliferation Project at the U.S. Institute of Peace, an adjunct professor at the Johns Hopkins University School of Advanced International Studies, and an adjunct senior fellow at the Federation of American Scientists (FAS). Charles D. Ferguson is president of the FAS. This article is based on the report “Understanding the Dragon Shield: Likelihood and Implications of Chinese Strategic Ballistic Missile Defense,” developed under work supported by the Naval Postgraduate School Project on Advanced Systems and Concepts for Countering WMD with funding from the U.S. Defense Threat Reduction Agency. The views and conclusions are those of the authors. 1. Frank A. Rose, “Ensuring the Long-Term Sustainability and Security of the Space Environment” (remarks, U.S. Strategic Command Deterrence Symposium, Omaha, Nebraska, August 13, 2014), http://www.state.gov/t/avc/rls/2014/230611.htm (hereinafter Rose STRATCOM remarks). 2. Steps China has taken include deployments of the road-mobile DF-31A intercontinental ballistic missile (ICBM), development and likely future deployment of the longer-range DF-41 ICBM, development of Jin-class ballistic missile submarines and associated JL-2 submarine-launched ballistic missiles, and deployment of multiple independently targetable re-entry vehicles on its older DF-5 ICBM and possible deployment on the DF-41. 3. U.S. Office of the Secretary of Defense, “Annual Report to Congress: Military and Security Developments Involving the People’s Republic of China,” U.S. Department of Defense, April 7, 2015, http://www.defense.gov/Portals/1/Documents/pubs/2015_China_Military_Power_Report.pdf. 5. Frank A. Rose, “Ballistic Missile Defense and Strategic Stability in East Asia” (remarks, Federation of American Scientists, Washington, D.C., February 20, 2015), http://www.state.gov/t/avc/rls/2015/237746.htm. 6. Denise E. Der, “Playing Defense: Examining China’s Intentions Regarding Ballistic Missile Defense” (master’s thesis, Georgetown University, 2015), p. 14. 7. Chinese academic experts, meetings with authors, Beijing and Shanghai, February 2015. 8. Wang Ting, “Agni V and China/India Ballistic Missile Defense” (presentation, Carnegie Endowment for International Peace, n.d.), http://carnegieendowment.org/files/Wang_Ting%20Presentation.pdf. The presentation took place during the week of October 2, 2012. See Sarah Weiner, “Recap: ‘China-India Nuclear Crossroads,’” Center for Strategic and International Studies, October 9, 2012. http://csis.org/blog/event-recap-china-india-nuclear-crossroads. 9. Chinese academic, meeting with authors, Beijing, February 11, 2015. 10. Chinese expert, meeting with authors, Beijing, February 10, 2015. 11. In 1993 a Chinese scholar published an article that examined the threat to China’s Three Gorges Dam from missile strikes and raised the possibility of missile defense to protect it. Brad Roberts, “China and Ballistic Missile Defense: 1955 to 2002 and Beyond,” IDA Paper P-3826, September 2003, p. 21, n.80, http://www.dtic.mil/cgi-bin/GetTRDoc?AD=ADA418710 (citing Wan Yung-Kui, “Can the Chinese Armed Forces Successfully Protect the Three-Gorges Dam?” Hong Kong Tangai, No. 31 [October 15, 1993], pp. 72-80). 12. Chinese academics, meetings with authors, Beijing, February 2015. 13. People’s Liberation Army officials, meetings with author (MacDonald), Beijing, February 2015.